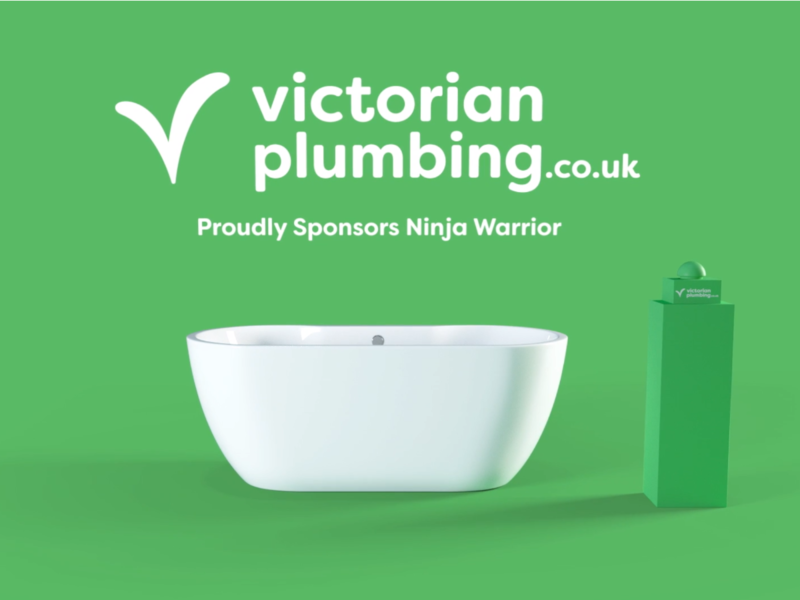 Victorian Plumbing has launched its TV sponsorship of ITV’s Ninja Warrior UK. From 13th April to 1st June, the show will feature animated idents from the bathroom retailer with voice-over provided by Laurence Llewelyn-Bowen. Hosted by Ben Shephard, Rochelle Humes and Chris Kamara, the show returns to ITV for a fifth series, to see which members of the public are able to best its challenging course. No contestants have been able to conquer Mount Midoriyama so far in previous series. With its scheduled time of 6:30pm on Saturday nights and large audience, the show was seen as a valuable sponsorship opportunity by Victorian Plumbing. Idents bookend the programme and its advertisement breaks, with Victorian Plumbing opting for CGI animation over filmed scenes, featuring the brand’s trademark use of white and green. Products from the company’s site form the focus of the animations, presented in an abstract style with voice-over from Laurence Llewelyn-Bowen, star of the brand’s 2019 advert campaign. Victorian Plumbing chose animation over filmed scenes to create a distinction between the sponsorship and its new ‘Star Employee’ advert campaign, whilst also capturing the fast-paced and energetic feel that viewers associate with Ninja Warrior UK through the use of quick panning and snappy effects to create a sense of movement. The sponsorship of Ninja Warrior UK marks a second collaboration between ITV and Victorian Plumbing, after the brand sponsored Through The Keyhole in 2018. “We’re hugely excited to be sponsoring Ninja Warrior UK on ITV this series. The programme has great coverage for Victorian Plumbing’s target audience, with the launch of the new series well timed to compliment our wider campaign activity.